If you are looking for family fun, romance or adventure, Bald Head Island has it all. Find your perfect adventure. . . Browse your options below. The beach is what it's about.Whether you like sun-bathing, taking early morning strolls, settling in with a good book or playing in the surf, Bald Head Island beaches are the main attraction. At Bald Head Island Resort the beaches are pristine, protected and uncrowded. At the point, you'll find East Beach with the famous Frying Pan Shoals. The favorite of the young set, the waves here are good for a little surf action. At South Beach, waves are calmer and you'll frequently see huge ocean liners making their way from the Port of Wilmington out to the open sea of the Atlantic Ocean. Potato Beach is perfect for dogs and children to splash in the tidal pools. Bald Head Island is home to one of the best golf courses on the Eastern Seaboard. With Bald Head Island Resort vacation homes, you can purchase temporary membership to The Bald Head Island Club, home to the newly renovated golf course. Temporary membership privileges include golf, tennis, dining, pool and more. The golf course meanders along marshes and creeks and provides breath-taking ocean vistas. Players of all levels will find the course both challenging and rewarding. Island Retreat Spa and Salon offers a full range of spa services for those that want to be pampered on their vacation. Services include massages, facials, hair-styling, manicures & pedicures and everything to pamper you for an hour or a whole day. Surfing, skim-boarding, canoeing and kayaking are an adventure on Bald Head Island. Bald Head Island offers miles of pristine beaches open to all, with beach access and golf cart parking. Bring your own skim and surf boards and join in on the fun. Bald Head Island's Riverside Adventure Company is the place to rent kayaks and canoes and book guided and unguided tours through the beautiful Bald Head Island creeks and marshes. The Bald Head Island beaches are beautifully pristine and uncrowded. For beach-lovers' sunbathing and shelling on Bald Head Island may be the only activity you plan for your adventure. Bald Head Island Resort is home to The Bald Head Island Center for Wellness. Programs include Wellness, Detox, Healthy Eating & Bridal "Boot Camp" programs. In addition, The Bald Head Island Club offers water aerobics classes daily during the summer. Our concierge is your resource to find what exercise and wellness programs will be available for your proposed vacation dates. You may also browse our event calendar for upcoming programs and events. At Bald Head Island Resort, your children won't ever get bored. 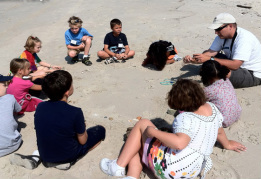 The Bald Head Island Conservancy offers children's learning camps and programs. In addition, The Bald Head Island Club and Shoals Club offer a myriad of children's events and activities throughout the season. Not only are these programs and events fun for your kids, it will give you a little "me" time! The waters around Bald Head Island make for a true sailing adventure. 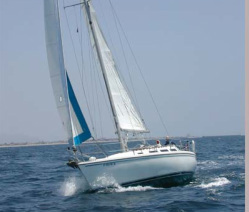 Whether you bring your own or choose to rent, a day of sailing is Bald Head Island must-have experience. The Sale Shop at the Marina next to Mojos will prepare you with sailing lessons or you can sit back and relax with a two hour"Fun Sail" guided by a certified instructor. Red Drum, Black Drum, Speckled Trout and Flounder abound in the creeks and marshes of Bald Head Island. Riverside Adventure Company on Bald Head Island offers fishing expeditions in a fully-equipped 20' Carolina Skiff. You can also take advantage of their surf fishing classes, good for the whole family. 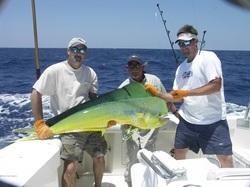 For the more adventurous or serious fisherman, their are a number of charter fishing Captain's serving Bald Head Island. For a website with fishing charters serving Bald Head Island. Nature-lovers love Bald Head Island. The distinctive habitats on the island have been carefully preserved and are home to hundreds of animal, reptile and bird species. Many of the island species only come out after dark, making nature discovery a 24 hour adventure on Bald Head Island. 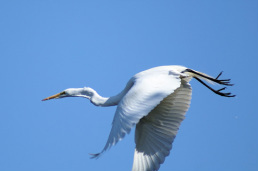 The Bald Head Island Conservancy is a non-profit program that is dedicated to the preservation of the unique island habitats and provides many educational and fun adventures for the entire family. Whether you enjoy bird-watching, exploring the Maritime Forest, kayaking through a serene marsh or watching loggerhead turtles hatch and make their way to the sea, Bald Head Island is a unique nature lover's paradise. For nearly 200 years, North Carolina’s oldest standing lighthouse, Old Baldy, has marked the mouth of the historic Cape Fear River. Today, thousands of visitors make the exciting journey each year to beautiful Bald Head Island to learn about the island’s rich maritime past at the Smith Island Museum of History and experience Old Baldy up close – including the climb to the top for a breathtaking view of the surrounding area’s outstanding natural beauty! Visit a civil war fort, hear stories of pirates, river pilots, and life saving crewmen, climb to the top of Old Baldy, North Carolina’s oldest standing lighthouse…and much more! Bald Head Island has long been a place for inspiration for photographers, artists and writers. The beautiful landscapes, ocean-scapes and wildlife are nature photographers' and artists' dream come true. You don't need to be a professional to find inspiration here, just pack a camera or your paints! Writers also find Bald Head Island the perfect escape to work on their projects in peace and solitude. The Woods Gallery on the island offers classes, workshops, retreats and Meet the Artist events throughout the year. Contact the gallery direct at (910) 454-4892 or sbest@bhisland.com for more information. 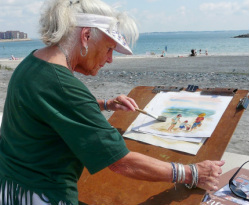 In addition, the island also hosts group retreats for writers, photographers and artists. If you are interested in hosting a retreat for your creative group, please contact us.